If you live in my part of the world, specifically Southern California, there is a huge Greek Yogurt craze. It’s insane, there are now 5, 6, 7 options in some markets. Consumers are eating it up by the truckloads because of its high protein content and low-fat, things which are good. The thing many people are not aware of is the potential high sugar count. Some of the so-called “Greek” yogurt out there has up to 22 grams of sugar which is more than some candy bars…not good. Make sure you are reading labels! 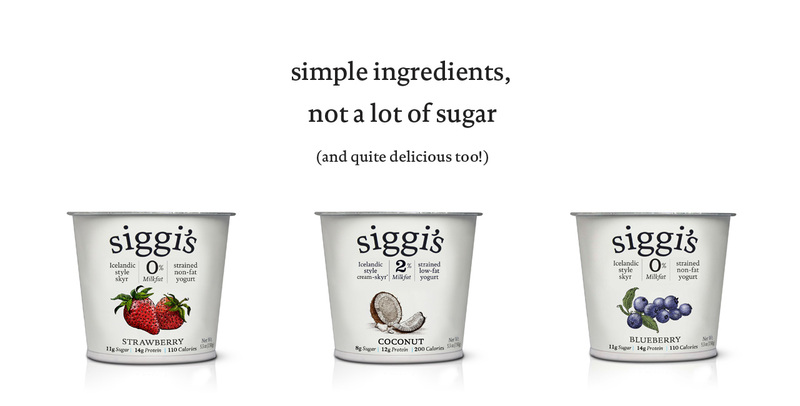 I have tried a few and my favorite is siggi’s which is a traditional Icelandic recipe and also strained just like Greek yogurt. It is high in protein, low in fat and sugar, YEA! It is on the tart side, which I prefer, and the fruit is already mixed in. If you have ever had Pinkberry the taste is similar to the tart flavors, it’s good stuff! 11 Jun	This entry was published on June 11, 2014 at 8:03 am. It’s filed under Food and tagged siggi's yogurt, The Best Greek Yogurt. Bookmark the permalink. Follow any comments here with the RSS feed for this post.